Please do not give live viral vaccines when the children are sick or on antibiotics or have diarrhea. Conference Presentations: Elizabeth Mumper, M.D. Never give to pregnant women, or women of child-bearing age not fully aware of the need to avoid pregnancy for one month after vaccination, since theoretically the vaccine virus could have an effect on the foetus. Do not use Eolarix in the presence of acute febrile illness, whether active or expected, following exposure to infection other than measles or rubella. This applies particularly to active tuberculosis and respiratory tract infection. A minor infection is not a contra-indication. Eolarix should not be given to subjects with impaired immune responses. These include patients with primary and secondary immunodeficiencies. However, Eolarix can be given to asymptomatic HIV-infected persons without adverse consequences to their illness and may be considered for those who are symptomatic. Eolarix is contra-indicated in subjects with known systemic hypersensivity to neomycin but a history of contact dermatitis to neomycin is not a contra-indication. Your doctor or nurse has information on what to do in this case (for example, give one of these vaccines, wait, give medicine to prevent fever). 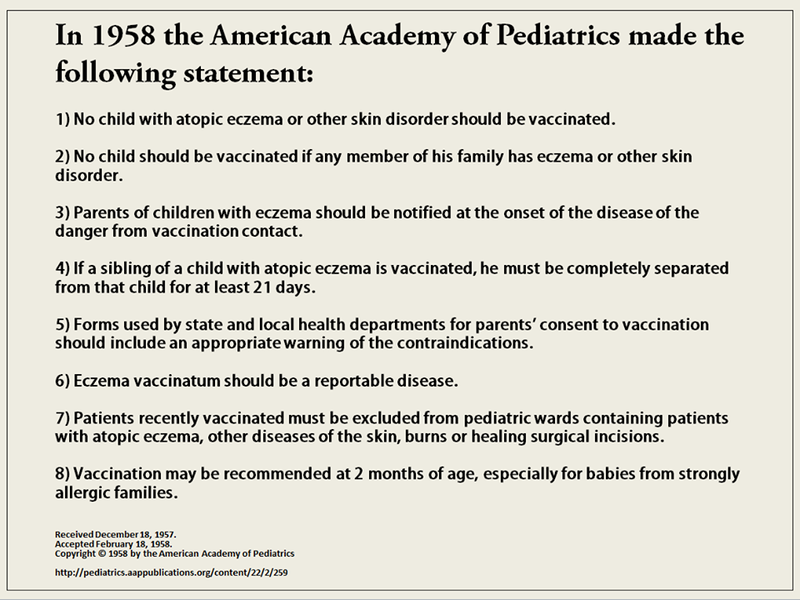 These recommendations are from the 1992 guidelines "Immunisation against Infectious Diseases" (HMSO). No child should be either immunised or denied immunisation without serious thought as to the consequences, both for the individual child and the community. Where there is any doubt, advice should be sought from a Consultant Paediatrician, Consultant in Public Health Medicine or District (Health Board) Immunisation Co-ordinator. If pertussis vaccine is contraindicated or refused by parents, then DT/Vac/Ads should be offered. If the child is suffering from any acute illness, immunisation should be postponed until the child has recovered. Minor infections without fever or systemic upset are not reasons to postpone immunisation. An extensive area of redness and swelling which becomes indurated and involves most of the antero-lateral surface of the thigh or a major part of the circumference of the upper arm. Fever equal to or more than 39.5C within 48 hours of vaccine; anaphylaxis; bronchospasm; laryngeal oedema; generalised collapse. Prolonged unresponsiveness: prolonged inconsolable or high-pitched screaming for more than 4 hours; convulsions or encephalopathy occurring within 72 hours. Specialist advice should be sought prior to performing immunisahon on children with a personal history of epilepsy (see above). In a recent British study, children with a family history of epilepsy were immunised with pertussis vaccine without any significant adverse events. These childrens developmental progress has been normal. In children with a close family history (first degree relative) of idiopathic epilepsy, there may be a risk of developing a similar condition, irrespective of vaccine. Immunisation is recommended for these children. recommended but advice on the prevention of fever should be given at the time of immunisation. Where there is an ongoing evolving neurological problem, immunisation should be deferred until the condition is stable. Stable neurological conditions such as occur in certain patients with cerebral palsy or spina bifida are not a contraindication to immunisation. When there has been a documented history of cerebral damage in the neonatal period, immunisation should be carried out unless there is evidence of an evolving neurological abnormality. If immunisation is to be deferred, then this should be stated on the neonatal discharge summary. A personal or family history of allergy is not a contraindication to immunisation. HIV positive individuals may receive DTP vaccine but pertussis efficacy may be reduced.